During the AMA, I will be answering financial related questions from investments, insurance, wealth management, and money saving tips. If you have any questions or topics you want to discuss, please post them in this thread before hand. I've been involved in the financial industry since year 2003. I graduated from University of Technology Malaysia with a degree in Aeronautical Engineering, but ironically never ever worked as an engineer. I started to write regularly on blog to give valuable information to the public in regards of personal finance topics since Dec 2006. My first book Top Money Tips for Malaysians published in 2008 has sold thousands of copies. Up to date, thousands of members improved their financial situation through the course every day. Since then, I've co-founded many other online financial courses including Bursa Method, Property Method, Invest Foreign Share and REIT Method, benefiting those who wants to learn remotely. How to know if I am well insured? Thank you FS and KC Lau to give us the opportunity to get in touch with you through this platform. What is your current portfolio? And how would you change your portfolio allocation based on your view above? How do you maximize your monthly passive income besides collecting monthly rentals? Do you invest in any P2P platform other than FundingSocieties, whether inside or outside of Malaysia? Is P2P financing a sustainable business? I understand that the SC has some safe guards but it's not like PIDM where our money is "guaranteed" to be safe. Where do you see P2P financing going 5 years from now? Do you think too many investor money chasing borrower is a good sign? Why? Do you invest in any crypto (currency)? Why do you think it is or is not a good investment instrument? There are several P2P platforms out there. What do you look for when choosing which P2P platform to invest in? What kind of alternative finance instruments do you invest in? Hi KC, thank you for this AMA session. I want to ask, how do you see the default rate of P2P industry happening in Malaysia? Will this default rate increase if there is an economy downturn? How will you mitigate the risk of default? @Kc-Lau Thanks for the ama. How is the awareness of alternative finance in Malaysia. What are some of your must-read books on investment/finance. Kc thanks if the bank mention based rate for their housing loan does this equate to effective rate? Would u recommend to buy property this year? if yes, before or after election? First time home buyer - for investment purpose with income of 3.5k/mth, what property range would you recommend? How did you start to get your 1st "pot of gold" ? Fundaztic rank their portfolios/notes based on their credit repayment behavior (because even banks don't look at their financials due to small loan value and financial is 1 of the most unreliable document), while Funding Societies is more on financial statement and director personal guarantee. Is there any comment on this? Would u recommend taking loans to fund ASB (bumiputera) ? I started to subscribe to you after I downloaded the Money tips - volume 1. However, you keep spamming my inbox every week afterwards. Now unsubscribed. Would like to subscribe to your newsletter if it's not so spammy. I have been following your course on line for the past 2 years and am still wondering how to get the wealth to retire. Already getting my kids to invest in Mutual units as a start but growth is slow. My mutual unit for the past 10years has earned very little and I am coming to appoint of withdrawal for other investments. What do you recommend I do as approaching retirement age within a year? would like raise fund through crowdfunding? This covers injury, loss of body parts and death due to accidental death only. You can get this from General Insurance company at a competitive rate: ~ RM1/year for RM1000 coverage. Get the highest limit that is affordable to you. The compensation is to settle your hospital bill. This benefit is included when you get #4. When you get this coverage, it includes #3 and #4 too. So it accelerate the payment because critical illness will also lead to TPD and Death mentioned above. As a rule of thumb, limit your premium paid for these protections under 10%. The lower the better. My long-term view of the global market is that it will keep growing, as population grows and trade grows, and human consume more. In the short-term, I ignore it most of the time because we can’t be worrying too much about the things that is yet to happen. Instead, I focus on the stuff within my control that can make a huge difference in the long-term. The best area to focus is how you conduct your business, or your career path. I invest mainly in properties and stocks. Properties provide the high leverage with low-interest loan. But stocks provide the liquidity that complement my properties cash flow commitment. Main effort is still focus on my own business. Generally, that’s the few proven place to invest and accumulate wealth for the long-term. Valuable assets such as business system and properties will churn out passive income which is stable if not growing. I only invest with Funding Societies so far. I look into Fundaztic too. But they don’t do much due diligence like Funding Societies. In investment, we want to protect our capital as best as we can. In my opinion, it is safer to go with FS at this moment. You are right that it is not guaranteed in anyway like the bank. I do think that P2P financing is serving a market need that is not covered by banks, but so far had been served by other high-interest money lender like loan shart. So I think it is a good thing to have these platform available now. It is getting more popular each day. I think it is a growing industry. When too many investor chasing borrower is not a bad thing. It will only be bad when investors are willing to take high risk for lower yield. That will post the danger of losing the capital. It might happen when supply is more than demand. So I would urge investor not to participate in deals that doesn’t make financial sense. No. I don’t treat crypto currency as an investment. It is a commodity like gold, silver, palm oil. It has its usage but doesn’t qualify as investment. The simple reason: it is not a business operation that we can evaluate by looking at its profits. Mining crypto coin is a business, but trading to profit from bitcoin’s price fluctuation is speculating. How do the platform do due diligence? Do they check the financial report and directors’ credit report? What is the default rate? Etc. First, understand how it works. Then see whether the return justify the risk. One more, The 10% limit for premium paid you mentioned is against to our income or coverage? Hello @Kc-Lau , do you recommend investing in REIT? what is the risk of investing in REIT? @kc-lau Thanks for answering. Do you have any experience investing in bonds (not bond funds)? I don’t invest in cryptocurrency. I may use it to transfer money or make payment to merchant, but not treating it as an investment. So I can’t really help you with recommending any resources. I invest mostly in properties and stocks. The only alternative I invest Funding Societies P2P lending. Sooner or later, we might see a default. So be ready for it. Default rate will increase when business fail. Yes, it will increase during economy downturn. Spread your investment evenly on all the qualified deals. Hi @Kc-Lau , do you recommend buying property now? Is buying 0% downpayment property a good choice? What you will look for when considering buying a property? Any good property recommended by you? Also, what kind of stocks do you recommend? @Kc-Lau do you monitor your investment in P2P lending? Noticed that you opt for auto investment, so eventually you will have many notes with same amount. Do you create an Excel sheet and key in all the expected repayments and etc for such tracking? Honestly, I personally still find that the website + mobile tools provided by FS are not comprehennsive enough in the sense that it is very hard to monitor the invested financings.. What do you think? I didn’t do a survey on this. Sorry that I have no idea. “VALUE” - the site have to provide value to the participants / readers. Value can be in many forms - solving problems, providing insights, guidance, helping members etc. There are many good authors now. I read quite many great books. The best is to learn directly from the best. For example, for investment, look no other than Warren Buffett. The Base Rate is not the Effective Rate. Yes.. now is the buyers’ market. You are in for a lot of good deals. I don’t think election post any big treat for anyone who is buying a house. First-time home buyer, get the first property that you can afford. 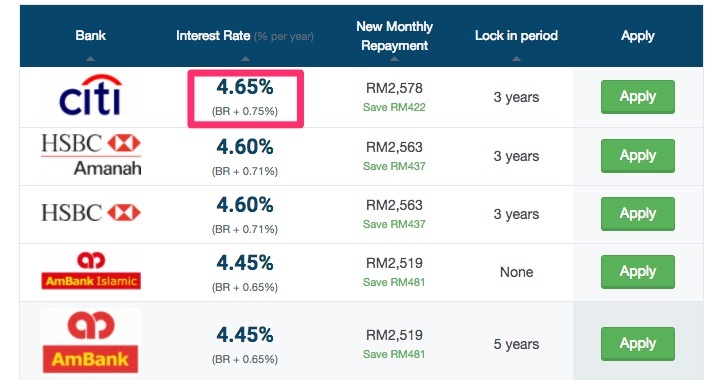 RM3.5k a month can approximately qualify for around RM1000/month loan. So the property price around RM200k is affordable. From the first few properties I bought, and also from running a business. In my opinion, FS is doing more due diligence. So I would side FS in this case for lowering the risk of investment. You made the right choice to unsubscribe. It is good for both of us. You don’t need to see my email in your inbox which you don’t want to read. However, I don’t think I am spamming anyone though because my email list has grown to 70k. If I am spamming, the number should decrease each day instead of growing. By the way, you always have the choice to unsubscribe with a click on the unsubscribe link. For spam, you will need to block it because spam email just come anyway. When you do investment in unit trust, it is quite passive on your side. That means you don’t actively manage your portfolio. To invest for higher gain, you can invest directly in the stock markets. But you must know how to do it safely and profitably. I recommend Value Investing method. If you don’t want to go through the hassle of learning how to invest, or do it on your own, you can engage professionals to invest directly for you. Find one that charge purely on performance so your interest is aligned. That means if you don’t make money, the manager makes nothing and work for free. Do you do stock trading? Which company is offering the best stock trading platform you have experienced ? in term of brokerage fee, analysis tool , UX/ UI or more that you choose your current trading platform ? So far there is zero default yet in the Malaysia Funding Societies platform. Yes.. when borrower don’t pay back. So it is important to lend to strong borrowers with profits and assets. As far as I know, Funding Societies is licensed and absolutely not a scam. But how about the borrowers? Can they con their way to get our money? There is a possibility. But that take much extra efforts because FS check on the directors credit report and company SSM report. High interest - why do the borrower take it? Business would of course prefer low interest. But when you borrow for short term, without collateral, bank also charge as high as 18% for credit card loan. So these borrowers need fund, and they would pay high interest only for the short term ( a few months up to 18 months). They would be stupid to pay high interest for a long term. So the biggest reason they are willing to pay high interest is because they can make more than that in their business. For dividend return, REIT is good because it is based on properties that command rental return, and distribute most of the profit to unit holders. The risk is when the properties run out of favour and can’t churn out rental income anymore. Not directly in bond. No experience on that though. Yes. It is buyers’ market now. You are spoiled with choices. For investment, the first criterion is to look at the rental demand. Do your due diligence to be certain that someone will rent your place - whether it is subsale or new project. Look into MRT - the station won’t move. So the property nearby shall do well in the long term. Get in at the right price with good yield. What kind of problems do small and medium businesses face when it comes to financing? And what problems to p2p companies solve? Are you aware of any online channels businesses typically visit, when they are looking for funding? Asking because when we do due diligence on the borrower, before we lend to, there is typically not much information available online. So I was wondering if I'm looking in the right place. You can definitely do that close-up monitoring. For me, it is just a small holding in my assets. So I don’t go through the trouble to monitor it up to that level. But if it is a substantial holding in your portfolio, you better do that. They still have many things to improve. Give them the feedback directly, with suggestions. Hopefully they will make many great improvement. I don’t trade actively in stocks. I buy good businesses and keep them for long term - at least a few years. For active trading, I can’t help you with any recommendation of tools though. The problem is to convince people to lend you money if you have nothing to show. If your business is running profitably with audited account, I don’t think getting funding is an issue at all. P2P provide short term loans to SME that banks don’t entertain. The best channel to check is the credit report of the borrowers - from CTOS and RAMCI. Thanks @Kc-Lau for the answer. its very informative and I learnt a lot from this AMA. Thank you KC Lau! Also, thanks Crowdfund talks for this platform so that we can share and learn from each others. Thanks @Kc-Lau for your time. The ama is over now. See you all at the next ama. I have house loan for 270k interest of 4.4%, if i have extra 100k should i put FD or put at Flexi loan to reduce the interest. @Kc-Lau hope you'll be doing another AMA soon!